There is a gaping hole in the historical record, that we here at the Non-Review have decided to fill. The greatest of all shapes (well, at least the first 8 of them) has never been determined. This was not done by the Greeks, Romans, or even any modern nation, and we think that is deplorable. Therefore, with your votes, we will get to the bottom of this. After the first round (which can be read here) the winner was—no, no, stop the drum roll, we don’t need that—was the mighty Circle! Even though Pentagon made a strong push near the end, it was unable to overtake Circle’s substantial early lead. So congratulations to its royal roundness. But now we have two more shapes prepared for battle. So without further ado, let the battle commence. The smugness of Lens over the fact that it is the only shape with both curves and corners. Having all the other shapes act leery around it, due to the ancient myth that it really does have the power to put a hex on them. Hex’s pompous declaration that it is the strongest of all shapes, even though it still refuses to submit to a steroid drug test. Being able to be rocked to sleep without the need for a cradle or rocker of any kind. And now the power turns to you. But with it, great responsibility. Because it is now your job, for the sake of all history, to cast your vote to help determine: What is the greatest shape? Submit your vote below (by leaving a comment), to decide who wins this round. On Tuesday the voting for this round will end, the winner will be announced, and two new shapes will battle it out. You make my choice too easy. 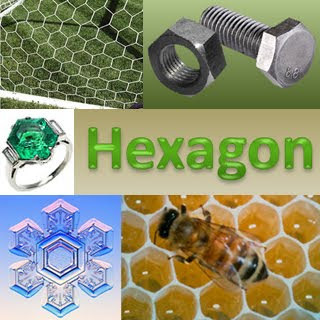 If you put hexagon against octogon then you really got a head scratcher. I of course gotta go with the hexagon. Have you ever wondered why bees use that shape? How do their know of it's architectual properties. I have seen that cartoon Bee Story and it was NOT a documentary. Do you realize that the bees are dying and we know very little about them? 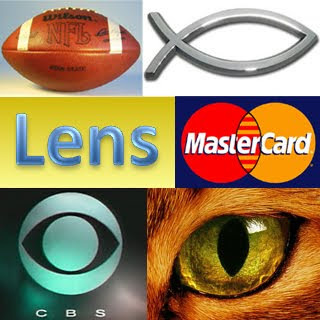 You don't see those lens shaped Jeebus fish going extinct do you? Choos life brother. CHOSE LIFE!!! Gonna have to go with Hex all the way here, my friend. I gotta go with Hexagon. I'm not buying that it can't actually put a hex on me. I didn't even think Lens was a shape until this post. What has lens ever done for me? I vote for old hexy. He has always been there for me. Does it mean nothing to you upstanding hexagon fans that the hex refuses a steroid test? That's incredibly suspect, I say. Next thing you know, we'll start finding out about all the little hexes he's father illegitimately. I'm voting for the LENS, the shape you can trust. Hands down, hexagons, lenses piss me the hell off. I was going to be all "go, hexagon!" when I took a closer look at that Mastercard symbol and it reminded me that I had to pay my bill. Uh, but it ALSO reminded me that the lens is part of the greatest diagram known to man: the Venn diagram. Seriously, the lens is the overlapping bits, the common ground, the things that bring us together! I feel like voting against that would be like voting against rainbows, or puppies. Lens it is. Going with the lens...it is circles first cousin and I supported circle in the last vote...like in the Godfather. "ya can't go against the family". Plus I like my eyes...and cameras. Yeah, I think I'm in the Lens camp too. It's a tough call, but honestly, I think the Hex is simply a square on roids. I am going with Lens on this one. It is close to a circle and that leads to the circle of life. Gotta be down with that. Hexagon and I have a real beef that dates to the mid 90's and we have never resolved our differences. So just to spite hex, I am going LENS. Take that Hex, you f***! I couldn't help but fixate on the fish - I always find it weird how people show off their religious beliefs on bumper stickers. That fish symbol was popular back in my Catholic school days. i am going with the lens as i didn't even know it WAS a shape. thanks for stopping by the crib and following. I have been forced to jump in, and vote. I don't like to since I am in charge of running these battles, but sometimes you must do what needs to be done. And we can't have a tie. So, I'm throwing a vote in Lens' direction. Sorry Hex fans.